If your child is interested in Scouts, or you're keen for them to become involved, take a look at some of the questions we're most frequently asked by parents and carers. You can also view our Parent Guides for more information on each section. My child has a disability or additional need; can they join Scouts? Is Scouts a religious organisation? I don’t feel I have any suitable skills; how can I get involved? 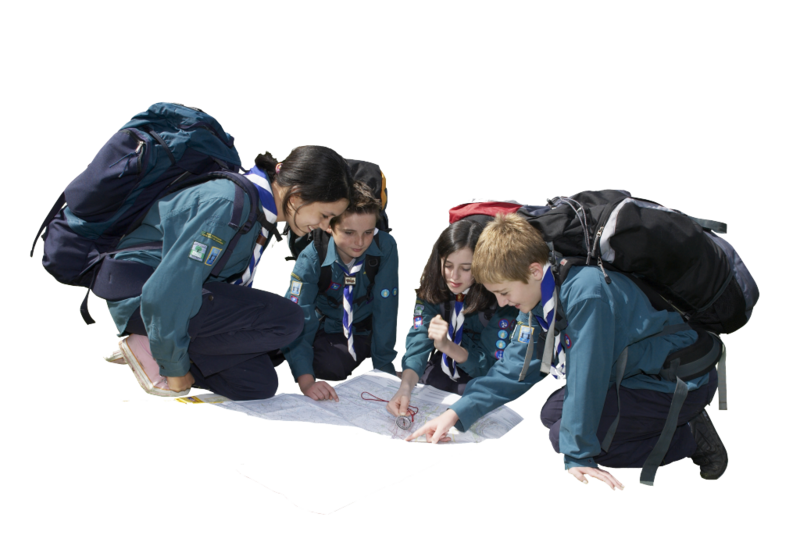 How much does it cost to send my child to 14th Cambridge Scouts? What do Scouts wear and where can I buy it? How should badges be placed on the Scout uniform? My child has a disability or additional need; can they join 14th Cambrige Scouts? The Scout Association is committed to being inclusive of all young people, regardless of ability or disability and has a clear Equal Opportunities Policy. Our Group is open to all young people. We encourage parents/carers of the young person to discuss with our Leaders their individual needs and plan support strategies. However, despite this and the best efforts of our Leaders, there may be situations where we do not have the capacity or resources to meet the needs of a young person or make the reasonable adjustments necessary. In such instances, we will work with the parents/carers to find an alternative Group. The Scout Association is an inclusive and values-based Movement. Membership is open to young people and adults of all faiths and beliefs, including the absence of an affirmed faith, humanists or atheists, who share our values. Our values are integrity, respect, care, belief and cooperation. A key element of the programme is spiritual development and exploring different faiths, beliefs and attitudes. There are a range of variations of the Promise (a commitment made by all members), to account for different age ranges, faith and beliefs and nationalities (including those who are stateless). Parents can volunteer and help in many ways; you don’t have to be a regular Bear Grylls. You might have first aid knowledge that you could teach the group, or you might be able to teach our Scouts a thing or two about DIY. There's no pressure to continue as a helper or leader afterwards, but hopefully we'll be able to inspire you by showing how easy and rewarding it can be to volunteer with Scouts. Our termly subscriptions is £27. This fee covers the cost of the hire of our meeting place and activities in weekly meetings. Trips, camps and special activities are usually charged separately. Cost should not be a barrier to anyone taking part in Scouting and if this is an issue, you can speak to the relevant Leaders in confidence. All members of the Group wear a uniform depending on their age range. Uniform can be purchased from the Cambridge Scout Shop. Please visit out Uniform page for more details. Why not come along to a meeting and see for yourself what we do and what we can offer? You can also email us at 14thcambridge@gmail.com.